The first Blackadder series was broadcast on BBC TV over 26 years ago yet it’s managed to gain cult classic comedy status by attracting new fans from each following generation and served as a launchpad for the careers of its main actors Rowan Atkinson, Tony Robinson, Tim McInnerny, Miranda Richardson, Hugh Laurie and Stephen Fry. Black Adder is based around an alternate history of England and tells the story of 4 generations of the Blackadder family all called Edmund Blackadder and played by Rowan Atkinson during different historical periods. Starting in the 1st series as the King’s stupid son the Blackadder dynasty falls lower and lower in society with each new series all the while becoming more sarcastic and gaining rat-like cunning culminating in the 4th series where Captain Blackadder of the British Army is stationed in a trench on the Western Front during WWI. These DVD’s contained the original episodes at fairly average video quality and nothing more, no audio commentaries and none of the spin off standalone episodes like Blackadder Back and Forth (aka Millenium Special). 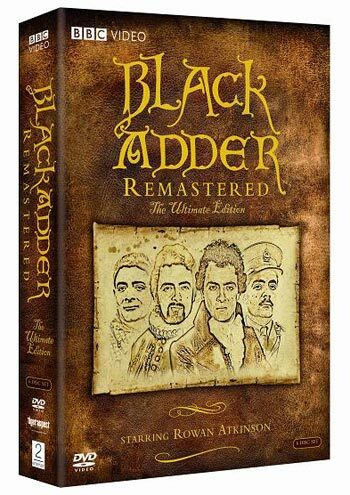 Thankfully the BBC have rectified this in the newly released Black Adder The Ultimate Edition Remastered DVD Boxset which ABC Shop sent to me for review. 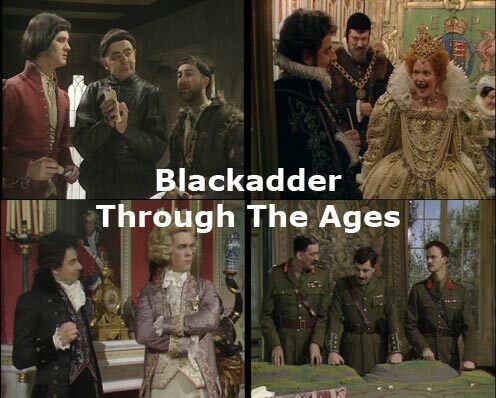 If you want to get an idea of what Blackadder is about the 9 Networks Digital TV Channel 99 GO! is broadcasting Blackadder every Friday starting December 18th 2009 at 830pm with The Black Adder Christmas Carol airing Friday, December 25 at 830pm.